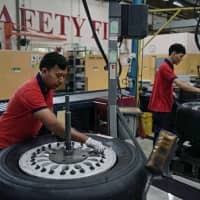 JAKARTA/SYDNEY - The crash of a Boeing Co. plane that killed 189 people in Indonesia is spiraling into a $22 billion feud between the aircraft maker and one of Asia’s most influential aviation bosses. In a rare public dispute between the plane maker and one of its biggest customers, the head of PT Lion Mentari Airlines has threatened to cancel an order for billions of dollars worth of jets because of what he says is Boeing’s unfair reaction to the crash. The man standing up to the U.S. aviation giant is Rusdi Kirana, Lion Air’s owner, and while he was little known to the public outside Southeast Asia before the crash, he’s something of a legend in the industry. Eighteen years after he and his brother rented a Boeing 737-200 to start a service from Jakarta to Bali, Kirana, 55, has turned Lion Air into Indonesia’s largest airline, with one of the biggest order books in the world. “He is, by virtue of the significance of Indonesia, right now probably the most important aviation figure in Southeast Asia,” said Shukor Yusof, founder of aviation consultancy Endau Analytics in Kuala Lumpur. Kirana’s undiminished appetite for expansion — he wants to start flights to destinations as far a field as London and Dubai — has made him a key customer for both Boeing and its European rival, Airbus SE. Lion Air is the third-largest buyer of Boeing’s updated 737. But seven weeks after a two-month-old 737 Max jet operated by the carrier plunged into waters off Jakarta, Kirana has started a public spat with the plane maker. Lion Air is drafting documents to scrap its $22 billion in orders with Boeing because, Kirana says, the manufacturer unfairly implicated his airline in the disaster. The dispute revolves around Indonesia’s worst air disaster in two decades. Moments after takeoff on Oct. 29, the pilots on Lion Air Flight 610 battled to control their 737 Max as faulty data from a sensor repeatedly forced the aircraft to pitch nose down, according to the preliminary report, which included evidence for the plane’s flight data recorder, retrieved by divers. The plane slammed into the Java Sea minutes after leaving Jakarta, killing everyone on board. The report by Indonesia’s National Transportation Safety Committee last month didn’t find a cause for the crash. But it showed that a malfunctioning sensor wasn’t repaired before the fatal flight — even though it failed on the plane’s previous trip, and it criticized Lion Air’s safety culture. The plane’s cockpit voice recorder has yet to be found. Kirana took the response as an attempt by Boeing to shift the blame onto him. According to Kirana, Boeing has yet to deliver about 250 jets to Lion Air. The manufacturer’s orders and deliveries website shows 188 unfilled orders. It’s almost impossible to cancel firm plane orders without financial penalties. In the interview, Kirana rejected suggestions that his threat to scrap purchases is a ploy to trim an unnecessarily large order book and that Lion Air is struggling to pay for its planes. The airline’s deliveries are fully funded through the end of 2020, he said. 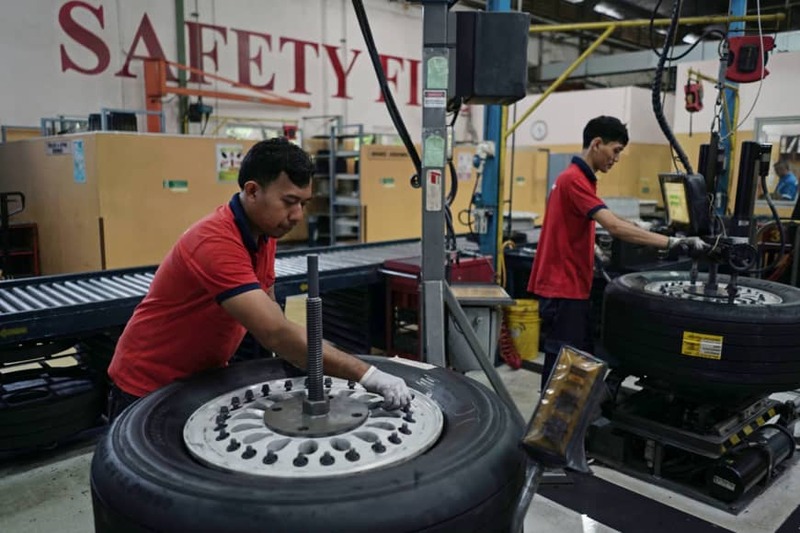 But Kirana may have other options and a big cancellation from a major customer that called into question the reliability of Boeing’s bestselling plane could have repercussions for the manufacturer, even if it managed to squeeze financial penalties from Lion Air. If Kirana can’t annul the orders, he might still be able to resell or lease the new Boeing aircraft to other airlines, said Gerry Soejatman, an Indonesia aviation analyst. That, in turn, would distort the market for new and used Boeing 737s, he said. “The ecosystem is so intertwined,” he said. Even after a major accident, it’s rare for a public dispute to arise between airlines and the big plane manufacturers when the cause of the accident hasn’t been determined. But Kirana has a reputation for toughness and perseverance. A one-time salesman for products including typewriters and cake ingredients, Kirana got his first taste of how the aviation industry works at 27, holding up placards with customers’ names at the airport, to help them with customs and transit. One day in the late 1990s he came across an article about online ticketing. With the savings from his various jobs, he and his brother rented a jet, designed some uniforms, hired four sets of crew and started Lion Air. In the early days, the airline was so unknown that travel agents refused to pay a deposit when they received his tickets. So Kirana allowed them to pay him after they sold the seats. Now Lion Air as a group has nearly 350 aircraft flying to around 300 locations, with a further 467 planes from Boeing and Airbus on order. Kirana, a former adviser to President Joko Widodo, is now Indonesia’s ambassador to Malaysia and is no longer in charge of the day-to-day running of the airline.